The town of Prora and the “Colossus of Rügen” – originally intended to be a seaside resort of the Nazi organisation “Kraft durch Freude” (KdF, strength through joy) – have become well-known during the past few years and are now a must for every-one visiting the island of Rügen. Prora near Binz lies in Prorer Wiek, the most beautiful bay on the island. 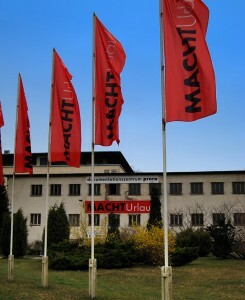 Here, between 1936 and 1939, the “Kraft durch Freude” organisation constructed the mostly finished several kilometre long complex of buildings that were to form a resort. The Prora complex is not just a listed monumental construction of the Nazi regime! 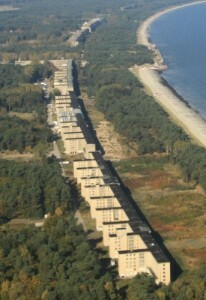 Alongside to the Nazi party rally grounds in Nuremberg, the KdF seaside resort in Prora is the largest architectural project of the time that was actually carried out. 20,000 people were to spend their holidays there simultaneously. The seaside resort is not only interesting from the architecture perspective (implementation of modern architecture in National Socialism); it was also an element of the National Socialists’ labour and social policy. The resort, allegedly planned as a place where “German Worker” may rest and relax, contributed above all, to the preparation of war, i.e. the “strengthening of people’s mental strain”, as several Nazi leaders pointed out, and the pacification of workers, who had been deprived of their rights and whose organisations had been outlawed in 1933. The foundation “NEUE KULTUR” had been working on the former seaside resort since 1992. The foundation’s concern was to maintain Prora as a historical monument and to develop and utilize it in an appropriate way to its historical importance and current regional requirements. It was supported by the European Union and closely cooperates with renowned scientists and institutions both from Germany and abroad. 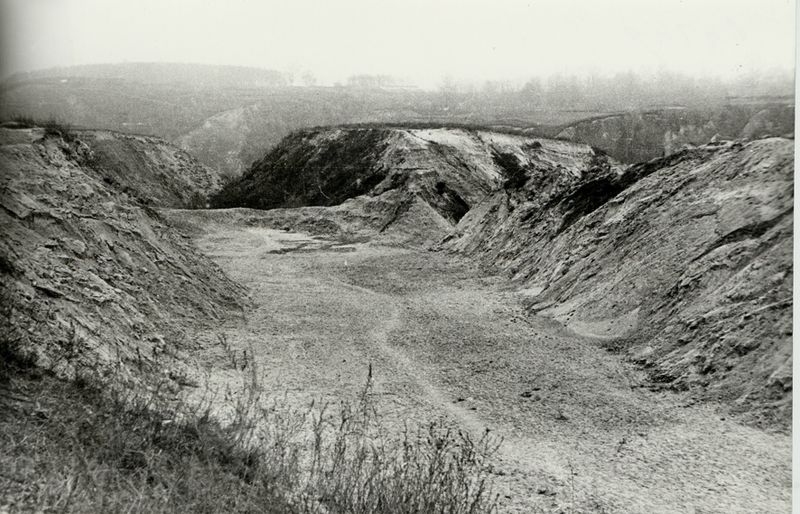 The foundation opened the documentation centre in 2000 in order to close a gap in Germany‘s memorial landscape. 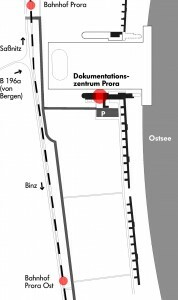 In 2012 the Society Documentation Centre Prora took over the documentation centre from the foundation “NEUE KULTUR”. 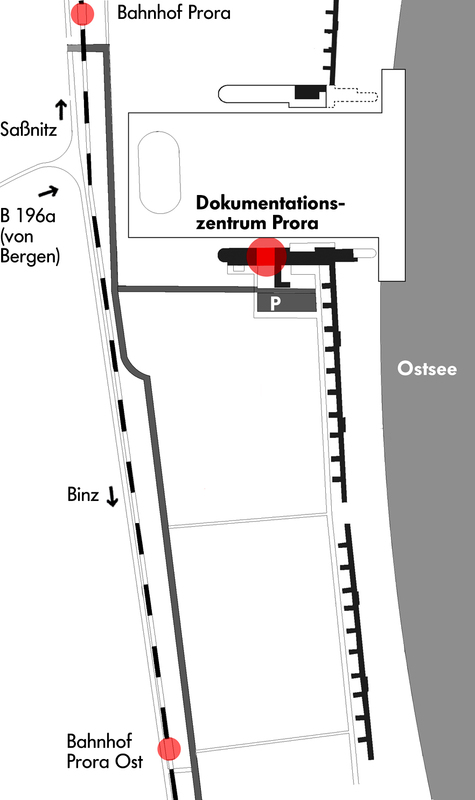 The society was founded by the Society of Friends of the Documentation Centre Prora. The centre currently offers the permanent exhibition MACHTUrlaub, a competent and scientific exhibition about the construction history of the complex and its political background. 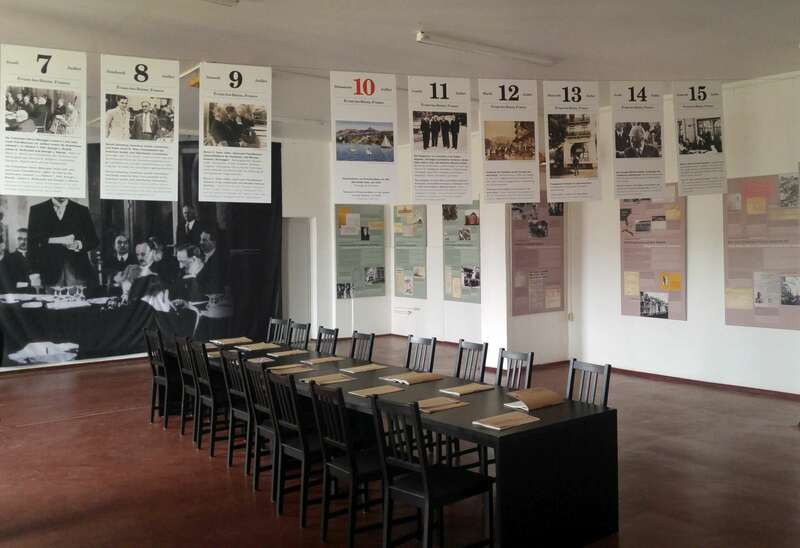 The exhibition meets the information needs of the public and provides them with the necessary critical information about the history of the complex. Lectures, discussions and, above all, special exhibitions on history, architecture, environment, the arts and politics will bring cultural life to the complex.